keep watch on disturbing messages, rumors. 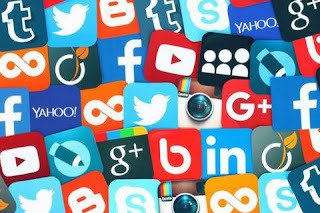 Officials have told these social media platforms that they also prepare the system where information sought by law enforcement agencies in connection with the investigation is immediately available. The government has asked Google, Twitter, Whatsapp and other social media platforms to take stringent measures to prevent unrest-spreading messages and rumors. Officials gave this information on Thursday. The government has asked all social media platforms to closely monitor the spread of such messages, cyber crimes and other such activities which would harm national security. Officials have told these social media platforms that they also prepare the system where information sought by law enforcement agencies in connection with the investigation is immediately available. Social media platforms include Facebook and Instagram. In recent days, there have been many such cases, which have resulted in violence in the social media due to the hate speech. Many messages have also been released against women, but the Internet companies have been retreating from giving information - the leading companies of which many of them have headquarter outside India. The government sent hate-related messages and sought information from all the people who forwarded it, but citing privacy, the companies refused to disclose this information. However, some social media firms have said that they are taking necessary steps to prevent false news, rumors and hate messages from being broadcasted on their platform. In a meeting with representatives of various social media platforms, Union Home Secretary Rajiv Gauba has asked him to appoint a Grievance Redressal Officer in India. They have been told to develop a system about timely action to remove objectionable messages and content from your site. Another official said that all the social media platforms have assured the government all possible help in this matter. The representatives of these social sites have also given information to the government about the steps taken.